At Medical Acupuncture of Tulsa we are focused on bringing you the best in modern medicine tempered with the effective complimentary techniques. With our board certified fully licensed physicians you receive the thorough diagnostic evaluation you need to help get you back to a life lived with vitality and health. Our board certified physicians take an interest in your whole health, combining Western medicine with the wisdom of the ages. In our fast paced lives it can be challenging to make the necessary changes to get and stay healthy. Our physicians allow plenty of time for each visit to allow us to evaluate all of their concerns and formulate a comprehensive treatment plan. Chinese medicine is a system of health care focused on creating harmony and balance within the patient’s body. 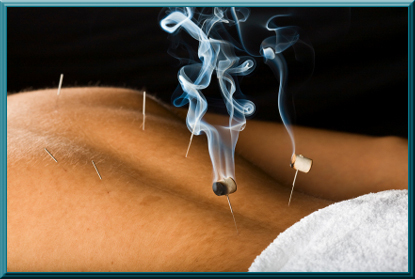 Traditionally, acupuncture focused on working with the energy of the body called Qi. Needles were inserted to modify the flow of Qi, with the understanding that when Qi was flowing smoothly, pain resolved and other problems vanished. Modern research has shown that many acupuncture techniques work by directly treating various pain generators in the musculoskeletal system, modifying nerve activity and increases the body’s own natural pain killers called endorphins. What Sets Our Clinic Apart From Other Offices? As fully licensed, board certified physicians, we provide a comprehensive medical and acupuncture diagnosis at each visit. We love what we do and are devoted excellence in patient care. We treat the whole patient and focus on finding your health, not your pain or disease. We don’t just treat pain or disease, we look for the cause of the pain or disease. We take our time with you. We do not double book and allow plenty of time for each patient. We educate you about what’s wrong, and how it can be improved using our successful methods. We educate you about how to prevent your problems from recurring and how to effectively manage your symptoms. Standardized protocols are never used on our patients. Your treatment is personally tailored every visit based on the evaluation by your board certified physician. Medical Acupuncture of Tulsa is a subdivision of Osteopathic Manipulative & Medical Treatments, PLLC.